If you have been around here for a while, then you probably have heard that we have infertility. If you didn’t know, no worries, you can get caught up to speed by reading our infertility journey. It used to make me nervous to tell people about our infertility. I was worried they would give the “oh, poor you,” look, and give me a pity party. Trust me, I can give myself the best pity party around, I don’t need others to do it for me. What I was wanting was friendship. I wanted to be able to tell someone my worries and my issues and just have them listen. All too often those with problems can fall into the trap of getting advise from others. People feel like they always need to fix problems. Do people feel awkward just listening? All I wanted was someone who would listen. I agree there is a time and place for guidance and counsel, but that is not what I was looking for, I had doctors for that. This is what held me back for so long from sharing my story. Since sharing my story I have met the most amazing women. Strong women, who arent afraid to share and listen, they truly are friends. We have forged a bond and a great friendship, exactly what I wanted. Even if you don’t suffer from infertility, and I hope you don’t. I wanted to share a few things that I have learned about our IVF processes. 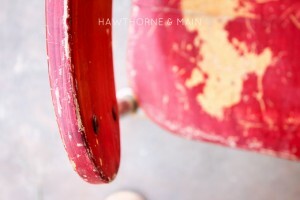 Maybe this will give you a glimpse into the things, that those of us with infertility, have had to deal with. As a side note, we have done IVF twice. Both of which were at different clinics with different doctors. So, I guess you could say that I have double the perspective. I will be sharing my experiences from both clinics. 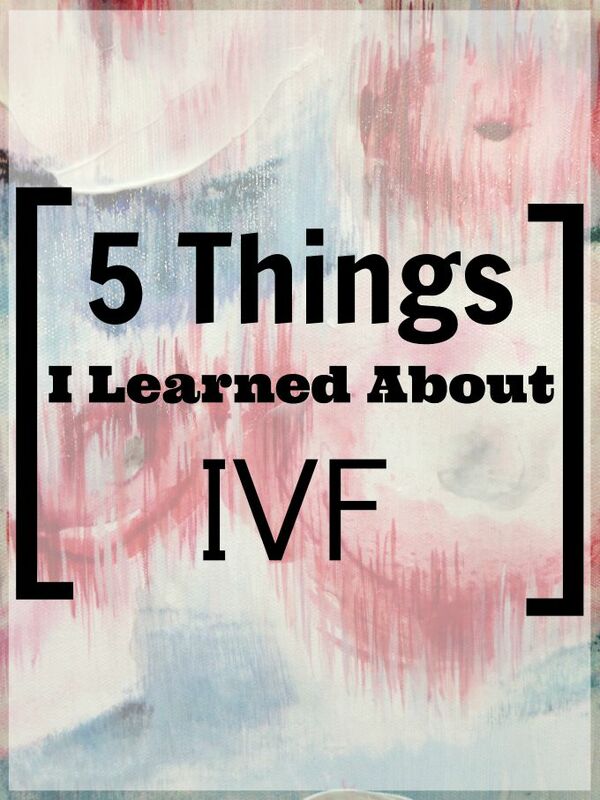 Here we go, 5 things I learned about IVF! I guess that one might be a no brainer, but maybe not. I know of couples who save up for years to pay the high cost of IVF. Plus, for most couples IVF is not the first option. There is usually years and years of other infertility treatments prior to IVF, those of which are also not cheap. 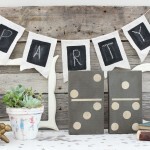 But, if you are willing to think outside the box there are ways to save up that money. Try selling something. Let people know that what they are buying is for a cause. I am way more apt to buy that cute craft, t-shirt, necklace, or whatever, when I know that it is going toward something extra special, like IVF. Have you ever heard of Go Fund Me? It is a website specially designed for people in need. Create an account and let people know what you are raising money for. The way that I helped to save up money was simply to pinch our pennies. I tightened up all of the non essential stuff. The food budget got squeezed too. The biggest thing that I did to save money was to learn how to coupon. You guys it is a real thing and the average lady can save money. I don’t live in a state that allows double coupons, darn, but I did average a good savings every month. That extra money went toward our loan. Mr. Main also decided to take on over time work each month to help pay off the loan. Because of our money saving efforts and Mr. Main working overtime we were able to pay off our 5 year loan in 2.5 years. There are always options. Get creative. I am not the type of person that handles medication well. The first time we did IVF I was given so much hormones that I almost had over stimulation. Which can be very serious. Toward the end of my first IVF, I was totally flat on my back for about a week and a half. The second time around, the medications were more regulated. I was sick but not as sick. I was fully and totally bloated though….. people probably thought I was pregnant before I even was! The funny thing is, even though I was sick and bloated, having the possibility of a baby made it all worth it. You either need to get comfortable mixing and administering your own shots, or find someone who will do it for you. I had to give myself a quick pep talk every morning before I gave myself the shots, sweaty palms and all. One more thing about the medications. The first time we did IVF there were no rebates. Well, if there were, then the doctors office did not tell us about them. The second time around there were rebates for 15%-50% off. Any savings is good, right!? Make sure you ask your doctor if they use a pharmacy that has rebates. Now, I told you already that I did both of my cycles at different clinics. Keep in mind that my end goal was a baby, and so far I have got that (fingers crossed). It would have been nice, however, to get some decent communication. The first time, I ended up having a total break down in the finical office because they did not communicate with me what their financing included. We were literally $5,000 short. I had no idea how I was going to come up with the money. No money, no IVF…… it was the type of crying that you do when you are tying to stop but you can’t. The second time around, I had gone in to have my second blood test to see if I was still pregnant. Those first couple of weeks are very critical. The next morning I called and of course left a message, I was never, ever, able to talk to someone. They would transfer me back and I would leave a message. After calling another 3 times, someone finally called me back. She was profusely apologizing, telling me that I was indeed still pregnant. I am not trying to be negative here. I just want anyone who might be going thought IVF to know ahead of time what to expect. Like I said before, my main goal was a baby. One more quick note, make sure you have the direct line to the doctors nurse. This will greatly increase your likely hood of getting a call back. I never got that number…. Women are known for being emotional. I bet there are some women out there that would like to argue that. For me, I am emotional. Or rather, I go in spurts. Some months I am fine and even kill. Then other months it seems that every other day is a wreck. When you are trying to get pregnant and you can’t, you are emotional. When you pay a bunch of money for a procedure you don’t know if it will work or not, you are emotional. When you take a bunch of medication, most of which are shots, you are emotional. When you hope and pray and plead that all of this will work out in the end, you are emotional. And if it doesn’t…. you are, very emotional. When you realize that if you would have been born just a few decades earlier you would not even have the chance at trying IVF, you are emotional. It is a touch and go time. I decided on June 19, 2015 That I was ready to do IVF again, it had been on my mind since January though. Six days later, on June 24, 2015 I was sitting in the Dr’s office for our consultation. Five days after that, I started medication on June 29th. I was pregnant on July 30th, a mere 41 days after deciding I wanted to do IVF. There is so much that happens in such a short amount of time. The first time we did IVF we lived with my inlaws. It was a really hard time for us. My husband was finishing school and looking for a job. On top of that, we took out this enormous loan and hoped for a baby. The only people that knew we were doing IVF were my parents and Mr. Main’s dad. It was hard not to tell anyone, but the fear of it not working out weighted that. This time around, I felt like it was not fair to myself to keep it in. It is such an emotional time that having a support system seemed necessary. Since sharing my story, I have met so many amazing people. They have helped to lift me up and I hope that I have, in some way, lifted them too. For me, having the support this time around made all the difference. I still had that doubtful thought in the back of my mind saying “what will you tell everyone if it doesn’t work?” I just pushed that aside and tried to stay positive in what ever happened. Make sure you people in your corner. No mater what you are going through, these people will help you get through the ups and downs. Even if you don’t have infertility or have to worry about doing IVF, I bet you know some who struggles with infertility. I would love for you to share this with them. Let us all build each other up and help each other through these tough times. It will all work out in the end. I have to believe that! Congrats on this pregnancy and praying for success! My husband and I had two retrievals and four inplantations. We had three pregnancies and two miscarriages. 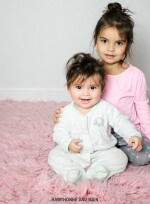 We first sought out an infertility specialist in 2000 and October 26, 2011 we were blessed with a boy and a girl! It was a very loooooooong rough road but all worth it. We were fortunate enough to have an amazing endocrinologist and his office was above par. I had a lady who,was assigned to me and I had more than enough communication and assistance from her. My second miscarriage landed me in the ER at 2am and the ER called my endroconolgist for guidance because he didn’t know what to do and I wouldn’t agree to any surgical procedure to,assist in the miscarriage. IVF is not for the weak. The first time I was border line hyper stim which was miserable and scary and the second time I had a week were I had 4 injections a day. I was so close to just quiting because I just almost couldn’t push through it mentally. My husband was my greatest support. I also had to take a break after the second retrieval because I had a seizure like episode and I believe it was from all the drugs I had taken in those two years. I think my greatest message to those seeking IVF is that this is harder than you can imagine. The ups and downs, the physical and emotional tolls it will have on you. But it is worth it. And the support system you recommend is as important as anything else. I wish the best for you!! Thank you so much Stacey! We are very excited. Infertility seems to be a long road for a lot of people. I can see that this is also the case with you guys. Especially with the ER scare, the border line hyper stim and the seizure episode, wow. You really are a trooper. Even through all that you were able to get a boy and girl, so great! Very busy time for you I am sure, but all worth it. I am so happy to hear that the office that your worked with were good at communicating with you, I am sure that made all the difference. It is such an emotional roller coaster for sure. Having a good support system made all the difference for me! Thank you for your comment!